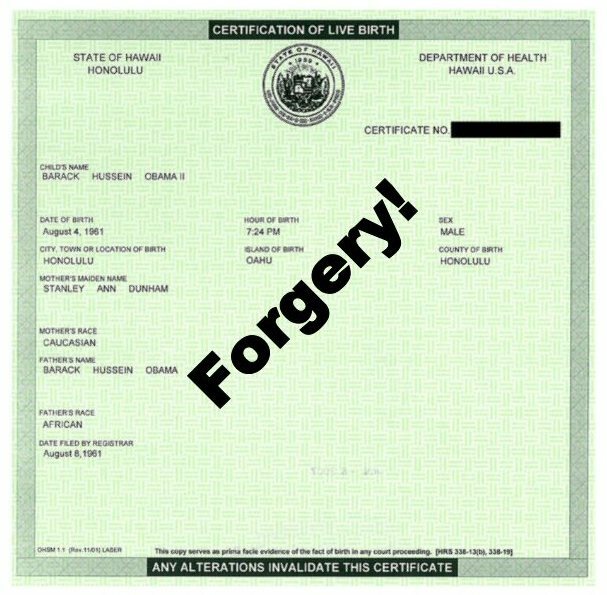 Two New Wash Times Ads: Obama Long Form Birth Certificate is a Forgery! Obama Draft Registration Forged and Back Dated! 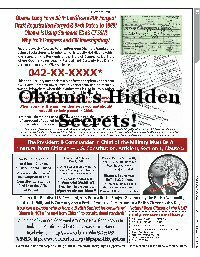 Obama Using a Stolen SSN! When Will the Congress and FBI Investigate? Not a Natural Born Citizen! 16 May 2011 Issue Wash Times Natl Wkly Edition Pgs 5 & 9. Plus: Expert Report – No Doubt Obama Long Form Birth Certificate is a Fake! 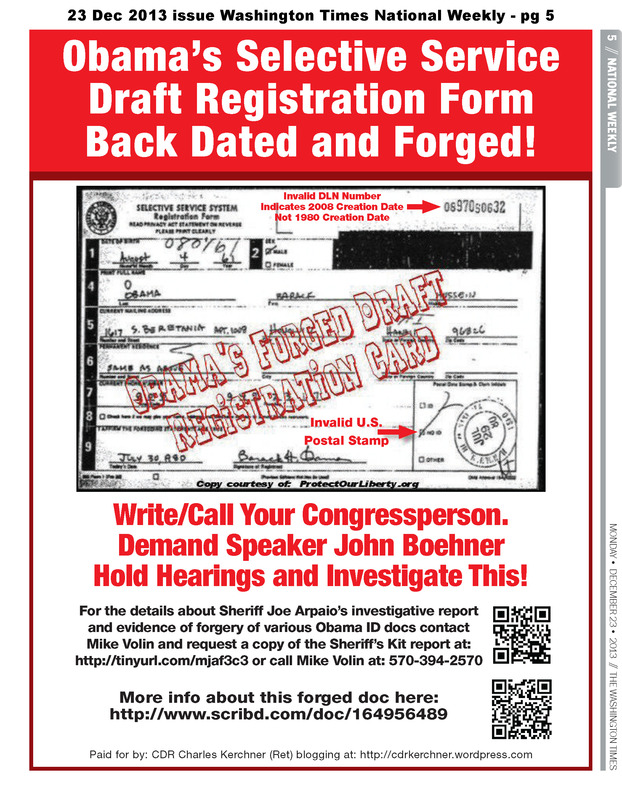 Two New Wash Times Ads: Obama Long Form Birth Certificate is a Forgery! Obama Draft Registration Forged and Back Dated! Obama Using a Stolen SSN! When Will the Congress and FBI Investigate? Obama Not a Natural Born Citizen to Constitutional Standards. See the Three Enablers of The Cone of Silence about This Usurpation and Document Fraud! Pages 5 & 9. Plus: Expert Report – No Doubt Obama Long Form Birth Certificate is a Fake! See New Ads Below. 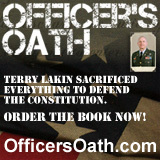 Click on Ads for Larger, High Resolution Viewing or to Download. Great illustration of the three evils…. More evidence that Obama’s long form birth certificate PDF file posted on the White House servers is a fabricated forgery: http://market-ticker.org/akcs-www?post=186343 Words were added to the image after the “book” was put in copier and copied/scanned to allegedly make the image. This is more proof this is not a simple copy of scan but a composite image that was fabricated from parts of other documents. Registration issues on various text lines extending to the left edge prove this. See video link above. Commander: You are a proven patriot! 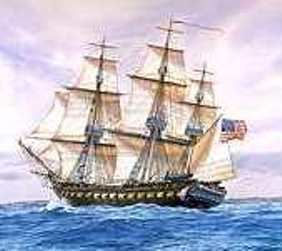 America NEEDS YOU to run for President!Will you consider running???? Thank you for the kind words. However, I have no interest in running for political office.